There are about 100 thousand species of fungi. Rather, mycologists even claim that they are about one and a half million, and these 100 thousand are just in sight, while the rest are quietly leading their existence in the unknown. It was mushrooms that opened the era of antibiotics in medicine, thereby giving a push to flourishing fungoterapii - the science of mushroom treatment. Fortunately, the science of treatment forgotten for many decades healing mushrooms reborn. In recent decades, fungi have become interested in the source of new medicines. 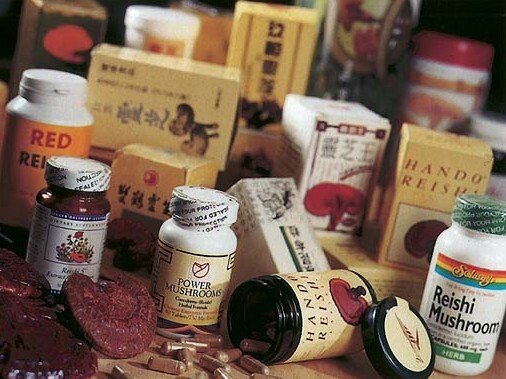 Although the science of treating fungi for millennia has been known and widely used in China and Japan, often for the treatment of the nobility and the Emperor. It was from the fungi of the genus Penicillium that the first antibiotic penicillin. The species of this fungus also form griseofulvin, citrine, vortmanine, notatin, patulin and others. 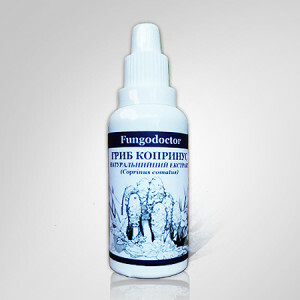 Aspergillus fungus species are producers aspergillin, fumagiline, veljutinin , etc. As producers of antibiotics fungi of the genera Fusarium, Trichoderma, Oospora, Torulopsis and many other micromycetes are known. 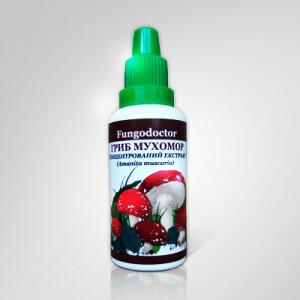 But the most important thing is that basidiomial fungi also produce antibiotics, and in addition, they found excellent antitumour substances and even phytoncides. That is, those mushrooms that we are used to seeing as a pleasant addition to our diet are used in nature as medicines. New ways in the field of effective antibacterial drugs have been discovered by the higher edible and poisonous fungi - macromycetes. A very valuable source of antibiotics are, for example, higher basidiomycetes. It is known that many of them are meadow mushroom, agrobium hard, pink rosa, common greengrocer, purple strider, birch tinder and others - secrete antibiotic substances: agrocibin, drosophylline, nemotin, biformin, polyporin and many others. 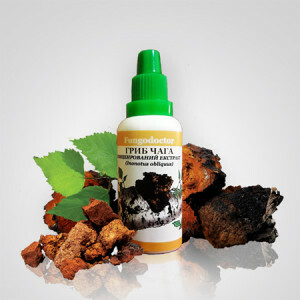 Such substances are isolated from more than five hundred species of edible and poisonous fungi belonging to sixty genera. 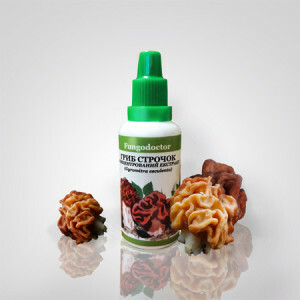 Water extracts of fruit bodies of many govorushkas, ryadovok, lakovits have an effect similar to the antibiotics identified on the wound microflora of patients: levomycetin, biomycin, streptomycin. 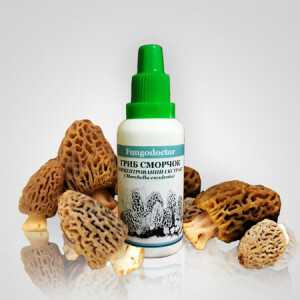 An exceptionally important source of antibiotics were species of golovoroshek (Clitocybe). Interesting in this respect is the giant clotocube, in which an antibiotic kaitobicillin. 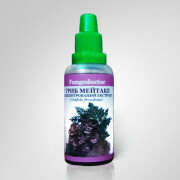 It inhibits the growth and development of various microorganisms; including the causative agent of tuberculosis. It is also noteworthy that some components of the grass cover disappear on the site of the growth of this fungus, which may indicate the phytoncidal properties of the mycelial extract of the fungus found in the soil. Calvatic acid, formed by some widespread raincoats, suppresses the development of many bacteria and fungi, and also has an antitumor effect. By chemical synthesis, numerous derivatives of calvacic acid, also possessing antibiotic action, were obtained. 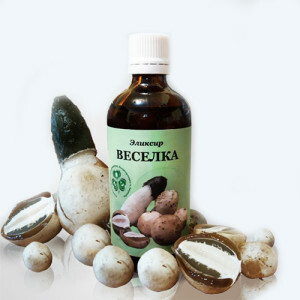 From Oudemansiella mucosa obtained antibiotic mucidine, which in the form of a drug mucidermine is used for various fungal diseases of man. Medicinal substances from species of the genus psilocybe (Psilocibe) have a psychotropic effect. For example, pharmacologically active psilocybin It is used in medical practice to treat certain mental illnesses, to restore memory in patients and in other cases. In the dung be found a toxic substance, insoluble in water, but only in alcohol. Therefore, when consuming a mushroom with alcohol, poisoning occurs. This property of dung is based on their use for the treatment of alcoholism. Recently, edible and poisonous fungi have been actively explored in many laboratories around the world in order to search for new valuable substances. 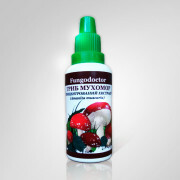 The results are encouraging: the number of fungi used in medicine is increasing day by day. Not all properties of higher fungi have been studied. It is hoped that fungotherapy will open up new effective medicines that will become a powerful tool in the struggle for human health.